Sous vide cooking is probably one of the most high-tech methods of food preparation that home cooks can perform without a degree in chemistry and/or killing themselves and those around them. 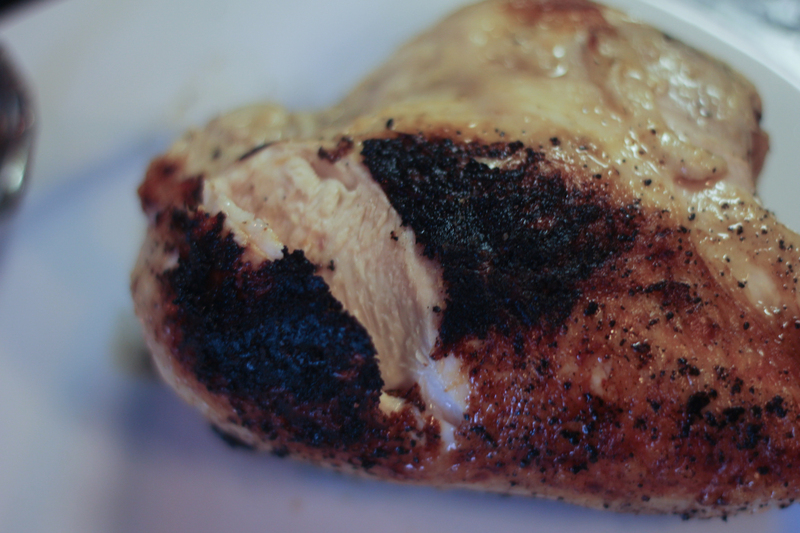 That’s why I was particularly excited to try the Anova, an automatic sous vide circulator that can turn a lump of cold chicken into a succulent taste sensation in about an hour. 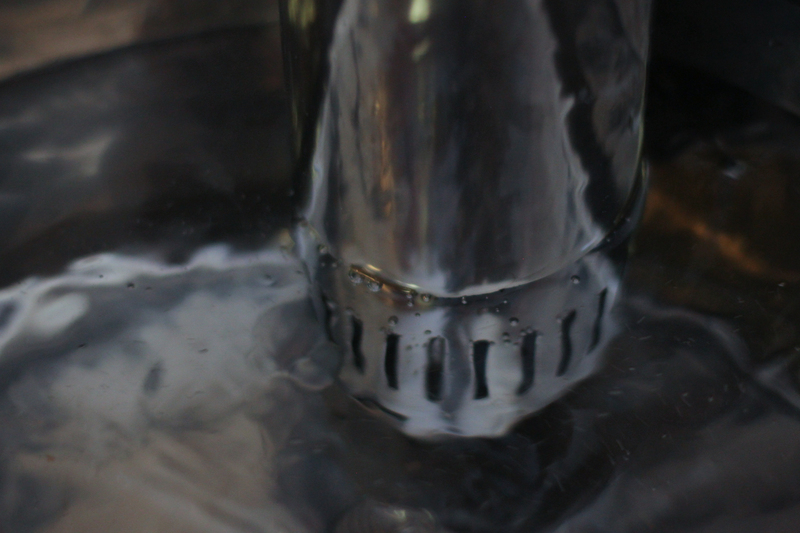 Sous vide is a form of poaching in which meats and vegetables are vacuum-sealed in bags and then slowly cooked at low temperatures in circulated water. The Anova, for example, allows you to seal a chicken breast in a bag and cook it completely without losing any of the juices or burning the meat. You can then sear the surface of the meat by hand after it’s cooked, creating some of the best darn chicken you’ve ever tasted. The Anova is surprisingly simple. To use it you need a large pot of water and a power outlet. You must seal the meat in a plastic bag – zipper bags probably won’t work, sadly, so a vacuum heat sealer is also needed. You then set the temperature and time. For example, I cooked the chicken on the right at 60 degrees Celsius for 45 minutes. I then salted it and seared it on a hot pan. The system has a temperature range of 25°C to 99°C and a 12-liter-per-minute pump that circulates the water while cooking. Ideally you would pre-heat the system before dumping in the food because food lying comfortably in tepid water isn’t a great idea. The founder and creator, Jeff Wu, claims to have made the first affordable home sous vide system on the market. Although there are a few open source and DIY projects out there, this is one of the most “Apple-esque” fire-and-forget models we’ve seen. Wu has a background in biochemistry, computer science, and finance. He builds hardware for pharmaceutical and chemical companies. So is it amazing? Yes. I’m kind of hooked. The fact that this thing is only $199 (you’ll also need to invest in a $70 vacuum sealer and a big pot) makes it quite compelling and it made some excellent food in only a few hours. I’ve always wondered how fancier restaurants made most of their succulent meats and non-soggy veg and now I know. Because it requires very little preparation you can essentially set it and forget it. You can also leave food in at low temperatures for up to 72 hours, thereby creating some amazing slow-cooked food that isn’t as sloppy as a pot of baked beans but is every bit as flavorful as one. Again, $199 is a big investment for a fairly cool cooking tool. However, if you’re a foodie and you want to try sous vide, this is probably the best device out there. There are other water ovens online but those are brushing past the $400 mark and higher. This is the first “standalone” model – you do need other equipment to make it work, but not much – and it is surprisingly easy to use and elegantly designed. Good sous vide is obviously a pretty intense cooking technique. 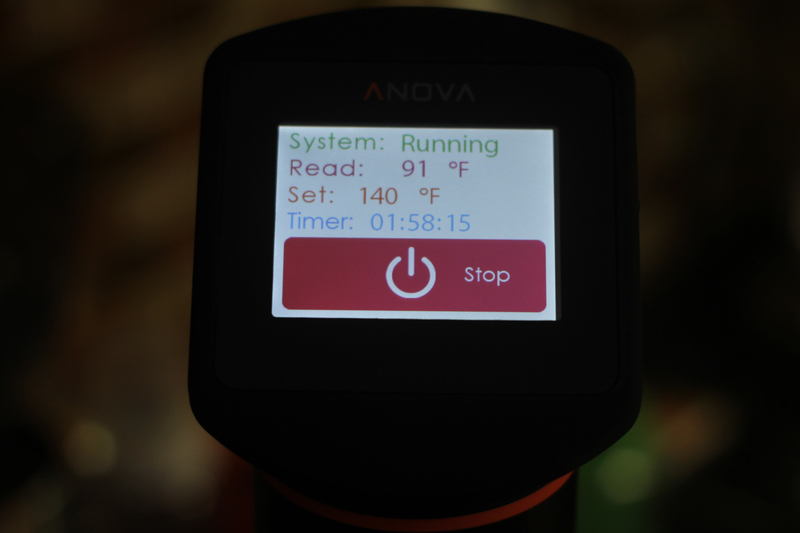 Thankfully, food nerds like Wu are out there and making cool stuff like the Anova.